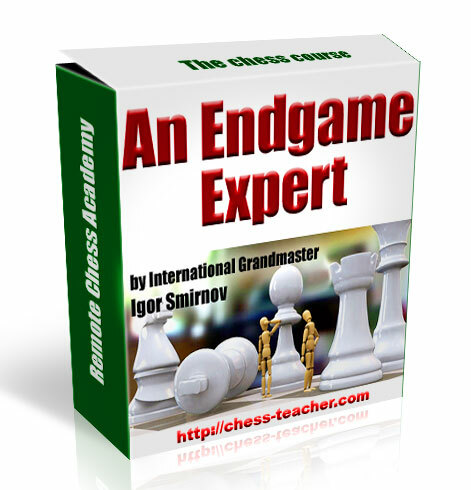 The chess software "explosion" during the last fifteen years has provided many positive benefits to chess players, not the least of which is the ability to play a game of chess anytime they choose. You don't have to wait for a weekly chess club meeting or take a chess set down to the park in hopes of getting a casual game. 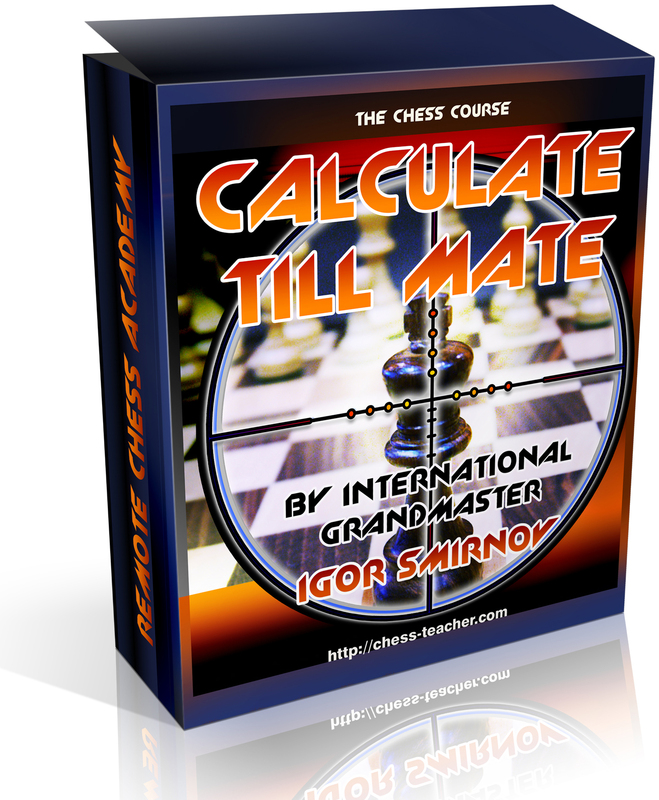 But the single most important feature provided in almost all chess software packages is often the most overlooked: the capability to have a chess engine analyze your games and provide personalized information on how to improve your play. The whole reason I bought my first PC back in the early 1990's was to gain access to this very feature. I'd been playing chess and studying chess books for years but had never had the experience of someone looking at my games and showing me where I went wrong. After I purchased a PC and some chess software, and began using them to analyze my games, I learned a lot about my own deficiencies as a player. I set out to correct these problems and my results at the board improved dramatically. In this short series of articles I'm going to show you how to do the same thing. Although the specific step-by-step instructions will apply to using chess engines within the ChessBase Chess Program interface (used byFritz, Hiarcs, Junior, Shredder, Rybka, etc. ), the principles we'll discuss apply to any chess playing program which has the ability to analyze games. In the first article we'll explore the basics of setting up and using game analysis features using the "Full Analysis" feature in the ChessBase-produced playing program interface. The second article will discuss using the same interface's "Blundercheck" feature which also provides complete game analysis with the output appearing in a somewhat more complex (but also more useful) form. In the final article, we'll talk about the practical application of a chess program's feedback, e.g. how to use this information to help you improve your own playing skills. If you want top-notch analysis from your chess engine, there are some things you'll want to do before starting your chess program. Don't run any other programs while your chess engine is analyzing - you're weakening the engine by doing so. This suggestion also includes any "background" (i.e. "Terminate and stay resident") programs that you might be running, such as screen savers, anti-virus programs, "crash guards", etc. The next step is to launch your chess playing program (as noted above, we'll use the ChessBase-produced playing programs for this article). Hit F3 to access the list of available chess engines and choose the one that you wish to use; we'll use Fritz in this article. After you've selected your chess engine there are a couple of different ways to proceed. One is to go to a database's game list, double-click the game you want to analyze (to load it into the main chessboard screen), and then go to the Tools menu, select "Analysis" from the menu, and then "Full analysis" from the submenu. I don't recommend this procedure for a couple of reasons. First, you're not able to access the complete range of "Full analysis" options by using this method. Second, you'll need to remember to manually save the game into a database after the analysis is complete. There's a fair little bit of stuff to consider here! This dialogue lets you set the time parameters and control the output of your chess engine's analysis. Although this dialogue might look daunting at first, it's really pretty easy to use. Let's look at the various sections of this dialogue and explore what these options do. 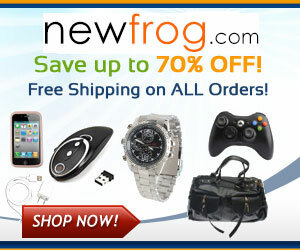 The first things you need to consider are the "Calculation time" and "Threshold" options. As a general rule, the more time you allow your chess engine to calculate the deeper ("farther ahead") it will look into a position - and you'll consequently get better analysis in return. However, there are potential drawbacks to setting the Calculation time either too high or too low. First we need to understand what Calculation time actually means. The value in this box is given in seconds. If you set this value for, say, "30" it means that your chess engine should (theoretically) analyze each move of the game for about thirty seconds on average. In practice, though, it doesn't work this way. Setting a value of "30" does not mean that the program will stop analyzing when it hits the thirty second mark and drop the best variation it's found into the game score. What it does mean is that when the thirty second mark is reached the program will finish analyzing the current ply depth before providing its analysis and going on to the next move. If the program has just started, say, the tenth ply at the twenty-eight second mark it might require two minutes or more before it finishes evaluating that tenth ply and proceeds to the next move. So we can see why setting the Calculation time parameter too high might be a drawback - it might require many, many hours of calculation for the program to complete its analysis. However, setting the parameter too low (such as to a value of "5") will cause the program to complete a full game analysis very quickly (in just minutes), but the quality of the program's suggestions will be quite low. An adequate setting will vary from machine to machine and will require some experimentation on your part to discover. Game analysis by a chess engine is best done overnight - it's going to take hours for a program to provide decent quality analysis (six hours isn't an unreasonable amount of time). The trick is to find a comfortable analysis time without tying your computer up for ten, twelve, or more hours. Start with a value of "60" (as shown in the illustration above). If you find that your program is completing the analysis pretty quickly (say, within two hours for a 40-move game), you'll want to bump the Calculation time upwards. However, if you start the analysis process, go to bed, come back in eight hours, and the program is still analyzing the middlegame of a 40-move game, you'll need to reduce the Calculation time parameter accordingly. Threshold is given in increments of 1/100th of a pawn - in other words, a threshold value of "1" is equal to 0.01 pawns. Threshold lets you control how much analysis the chess engine provides and the circumstances under which it will show you a better move. As it analyzes, the program will evaluate each position in the game and find the best move in each position. It will assign a numerical value to each position (i.e. "If White plays this variation, he'll be better by 0.75 pawns"). Threshold indicates the difference between the best line of play the chess engine finds and the move that was actually played in the game. For example, if you set the Threshold value to "50", the program will display an alternative variation in every case in which the best line of play (in the program's estimation) is better than the actual move by a half-pawn or more. So what value should you assign to Threshold? If you're a novice chess player I recommend a value of "100"; this will cause the program to show you tactical blunders where you lost concrete material (e.g. a pawn or more). It's unlikely that a novice player would be able to understand why a particular move is better by a fractional pawn value, and beginning players should concentrate on tactics anyway, so a setting of "100" will work quite nicely by showing you tactical mistakes that you've made. For intermediate to advanced players I generally recommend a value of "30". Strong chess players and computer chess experts typically value the loss of a tempo as being equivalent to about a third of a pawn. Using a value of "30" will show these kinds of time-losing positional errors (as well as any other substantial errors of a positional nature). Some players use very low values (such as "1") but I don't find this to be very beneficial. Unless you're playing a "perfect game" (as if such a thing actually existed), most of the moves you play can be bettered by a chess engine by 0.05 to 0.10 pawns, and that's just too close a shave from which most human players can derive any significant benefit. After you've set the "Calculation time" and "Threshold" parameters, it's time to move on to the other toggles in this dialogue. The "Annotations" box lets you select various forms that the annotations can take. Let's start at the bottom of the list. "Erase old annotations" means exactly that - the program will remove any existing annotations in the game score. If you've previously manually added any text, symbolic, or graphical commentary to a game (or have selected any other previously-annotated game), checking this box will cause such commentary to be deleted - so use this toggle wisely. Going back to the top of the list, "Verbose" means that the program will add some plain-language verbal commentary to the game. It's important to note here that this commentary is very rudimentary - the program will not provide a nine-paragraph dissertation on why you failed to properly deal with your opponent's Maroczy Bind pawn structure. We'll show an example of the program's verbal commentary a bit later on. "Graphical" means that the program will display colored arrows and squares on the board where it deems such commentary appropriate. This typically takes the form of showing weak squares (by coloring them) or control of a square (for example, you might see many arrows pointing at an isolated pawn, showing the pieces which are attacking and defending that pawn). "Training" lets the program created a timed training question at critical points in the game. These are typically in the form of tactics problems in which you're asked to find the best move in a position. Note that the program will not create these questions in every game - in my experience I've seen them created once in every twenty to twenty-four games I've had the program analyze. In this illustration you can see where the program has added three alternative variations to the game (just as you often see in chess books and magazines) and has even designated the move 5...e6 as a "theoretical novelty" (which doesn't mean that 5...e6 was necessarily a good move, only that the move wasn't found in the games of the reference database). Note that in choosing a reference database that the database you pick must have an opening key attached to it in order for this feature to work properly. I've also found that the feature works best if the reference database is one containing games only on the opening used in the game being analyzed - otherwise the program occasionally drops in annotations very early in the game which are from other, unrelated openings. You can choose any or all of the options under "Annotations"; choosing one doesn't "cancel out" any of the others. The radio buttons displayed in the "Side" box are self-explanatory - you can choose to have the chess engine analyze both players' moves or just the moves of one player. My strong suggestion is that you always select "Both" - the program will work much better if you do so, and it's always beneficial for you to see how your opponent could have bettered his own play by punishing your mistakes. You can choose just one option under "Side"; picking an option here prevents you from choosing any of the others. Finally we come to the "Storage" options. "Replace" means that the program will physically replace your game in the database with the new, annotated version (for example, if you're having the program analyze Game #320 in the database, the old Game #320 will be overwritten by the new version). "Append" means that the program will add the game to the database, "tacking it on" as the last game on the database game list (for example, you're analyzing Game #320 in a 2,474 game database. The program will analyze Game #320, leave the current #320 untouched, and add its analyzed game to the database as the 2,475th game on the list). The drawback to using Append is that you'll end up with the same game twice in the database, once in its original form and a second time in its annotated form. After you've set parameters and selected options in this dialogue, click "OK" and the chess engine will begin analyzing your game. The screen display will change from the "game list" window to the main chessboard screen. The move currently being evaluated is highlighted in the Notation pane by a dark cursor. If you watch the process for a few minutes you'll notice something interesting: the program starts analyzing at the end of the game and works backwards through the moves. As the program finds better variations it will insert them into the game score as re-playable variations. When the analysis process is complete the program will switch back to the database "game list" display (if you started the analysis process from the game list as I recommended above) with the cursor bar highlighting the newly-annotated game - that's how you'll know that the process is finished. We see here an interesting phenomenon: the chess engine will sometimes show a weaker line in order to illustrate a point. In this graphic we see that the move actually played, 18.cxd5 leaves White with a substantial lead. But had White captured Black's d5-pawn with the Rook instead (18.Rxd5), he would have been left with merely an equal game after Black's reply 18...a5. You can see that the text commentary (created because we selected "Verbose" as an "Annotation" option) is very brief and is intended mainly to call our attention to interesting and/or crucial points in the game. Sometimes the text describes the purpose of a move (as is the case with the notes after White's seventh move and Black's twelfth move). In other cases the program's text commentary just alerts us to points in which one player is in trouble (White's 21st and 23rd moves). And sometimes the program will use text to point out places where a player might have improved his play (such as the variation to White's 31st move). Now that we know how the "Full analysis" option works in the Chess Program interface, we'll examine a way to "fine tune" the analysis and get even more specific information, albeit in numerical rather than verbal form. This "Blundercheck" analysis option will be explained in the second article of this series. In the first article of this series we examined the "Full Analysis" feature in the ChessBase ChessProgram interface (used by Fritz, Hiarcs, Rybka, Junior, and Shredder). This feature allows you to analyze your games and will provide some general information on where you may have gone wrong in your play. A second analysis form is called "Blundercheck" and is similar in many ways to the "Full Analysis" function. "Blundercheck" will analyze your games and show where you (and your opponent) made mistakes but its output is in numerical rather than verbal form. This is the traditional mode of displaying chess analysis; it's been around ever since the first commercial PC chess software made its appearance in the 1980's. This traditional numerical analysis is, in many ways, a much more precise method of analysis in that it will show you the exact (down to 1/100th of a pawn) difference between the move you made and the recommended move that the chess engine determines to be better. Instead of a symbolic annotation, which shows you in general terms how much better a recommended variation is, the numerical evaluation will show you exactly how your move and the recommended line differ. The name "Blundercheck" connotes that the program will only show you major mistakes, but this is not the case. This analysis mode was originally conceived as a way for advanced players to check their own analysis; for example a chess writer could annotate a game and use "Blundercheck" to show any errors in his variations as a means of "double-checking" his work for "blunders" in his analysis. But "Blundercheck" is much more useful as a means for average players to get a more precise idea of what the chess engine is showing them. Let's first illustrate how to set up and use the "Blundercheck" function, then we'll descibe the engine's output. Just as in the previous article for "Full Analysis", we'll follow similar initial steps to get to the "Blundercheck" dialogue. After launching your ChessProgram interface, hit F3 and select the chess engine you want to use for analysis. After selecting the engine, hit F12 to open the game list window. If the proper database isn't displayed, go to the File menu and select Open/Database and use the File Select dialogue to navigate to the proper folder and database file. Double-click on the file name to open the database. Some portions of this dialogue will be familiar to you (after you've read Part One of this series). We've already discussed "Side to analyze" but I'll again repeat my strong recommendation to always use "Both" - the program works much better in this mode and it will also alert you to mistakes which your opponent made (and which you could have punished). "Storage" was also discussed in the previous article. "Output" is a new feature unique to the "Blundercheck" function. "Annotate as text" means that the lines of play the chess engine recommends will be presented as text annotations - that is, they will appear strictly as text and will not be automatically replayable on the chessboard when you review the game. Consequently Istrongly recommend the other option: "Annotate as variations". This will cause the chess engine's recommended lines to be presented as replayable variations (as they appear when you use "Full Analysis") - you'll be able to play the variations on the chessboard when you review the game later. The "Time" setting is the same as "Calc. time" in "Full Analysis" mode and the same recommendations apply here. An optional setting here is "Depth"; the engine will always analyze to the ply depth which you set in this box - never less, never more. The "Time" and "Depth" settings are mutually exclusive, you can set one or the other, but never both. My recommendation is to use the "Time" setting instead of "Depth"; using the latter will often result in shorter variations which get truncated during "forcing" lines (such as in a series of checks or captures). "Threshold" works in "Blundercheck" mode exactly as it does in "Full Analysis" and the same recommendations apply here. A series of check boxes follows "Threshold" and gives you a good bit of latitude in how the chess engine will display its output. "Write full variations" is an interesting tweak. Checking this box means that the chess engine will display a complete variation (with moves for both sides) when it finds an improvement over what you or your opponent actually played in your game. If you uncheck this box, the program will display only the initial move when it finds something better than the actual play. Seeing just the first move isn't terribly beneficial to the average player; you'll often find yourself asking "Why was that a better move?" Consequently, I encourage you to keep this box checked so that you'll see the "followup" moves to that better initial move. "Erase old annotations" works as it does in "Full Analysis" and applies to previously-annotated games; the program will remove any prior annotations from the gamescore. "Training" was described in the previous article; it enables the program to generate timed training questions as part of its analysis. This will typically occur approximately every twenty to twenty-four games on average. "Store evaluation" should definitely be checked: it allows the program to add its numerical evaluations to the variations it inserts into the gamescore. Unchecking this box actually defeats the whole purpose of the "Blundercheck" function for the average player. The option to omit these numerical evaluations is included primarily for grandmaster-level players who are presumably able to make these evaluations on their own. "Check main line" tells the program to evaluate the moves that were actually played in the game by the two players. This should always be checked. The box for "Check variations" is for players who wish to have the chess engine "double-check" any variations they've manually added to the gamescore; this box is useful for writers/annotators who wish to have the engine check their work for mistakes. Notice that Fritz (the chess engine used to analyze this particular game) has inserted variations at five points in the game at which it found a better move for either player (based on the "Threshold" setting provided when the analysis parameters were set). It's interesting to note the only text annotation provided: "Last book move". This means that 4.Be2 was the last move which was found in the opening book which was loaded at the time the analysis was started. Black's reply, 4...a6, was not found in the opening book. The analysis is in reference to Black's seventeenth move (17...exd5). The numerical analysis is always given from White's point of view; positive numbers mean that the position is favorable for White, while negative numbers mean that the position was better for Black. In this case we see that White enjoyed an advantage of 94/100ths of a pawn (0.94) after Black's actual move of 17...exd5, meaning that White is almost a full pawn ahead in the opinion of the chess engine. But Black could have improved on this by playing 17...Bxc3. The program goes on to give a recommended variation in which it assumes best play for both sides. After this sequence of moves, which ends with 22.Qc4, White would still have enjoyed an advantage of 44/100ths of a pawn - but note that this advantage is much less than after the actual game move. With 17...Bxc3, White was almost a full pawn ahead, but in the variation following 17...Bxc3, White's advantage would have been less than half a pawn. Black would have reduced White's advantage by exactly a half-pawn (0.94 - 0.44 = 0.50) had he played the Bishop capture instead. The number "13" following the variation's numerical assessment tells us how deep the search went before the chess engine arrived at the given evaluation. In this case, the engine analyzed the position after 17.d5 to a depth of thirteen plies (half-moves) to come to its conclusion on how Black might have bettered his play. We can easily see how precise this information is when compared to the output of "Full Analysis". While "Full Analysis" is a bit more readable, "Blundercheck" gives us more exact information. We know exactly how much better the suggested variation is when compared to the move actually played, and we also know exactly how deep the engine searched to arrive at its evaluation. Consequently, "Full Analysis" is well-suited to beginning or inexperienced players, while intermediate to advanced players will enjoy and benefit from the precision analysis provided by "Blundercheck". In the final installment in this series, we'll learn how to apply the engine's information to the task of improving our own chess play. In this piece, the final installment of a three article series, we're going to look at how you'll use a chess engine (such as Fritz, Rybka, Shredder, Junior, and Hiarcs) to help you improve at chess. This won't be a software tutorial per se; we won't be looking at "click on x to make y happen" instructions, since we covered those in the previous two articles. We'll instead be examining how you'll use the output generated by game analysis features to help you improve your chess. Someone once said that "the first step toward knowledge is to admit one's ignorance"; that statement is certainly applicable here. In order to profit from having a chess engine analyze your games you'll first need to make the (possibly painful) admission that there's a lot about chess that you don't know but need to learn. Over the years I've talked to more than one chess software user who used analysis features as an "ego booster", admiring the moves which the chess engine deemed "correct" while ignoring the sub-par moves (or outright blunders) which the software detected. That approach might be "chicken soup for the soul" but is a real waste of a valuable chess improvement tool. To derive the most benefit from engine analysis of your own games, you must first admit to yourself that your chess needs improvement - there's no other way. In fact, the whole process is based on the notion that you've already decided that something is wrong with your chess and you'd like to fix the problems. What we need to do now is clarify the process: how will we use engine-generated analysis to improve? 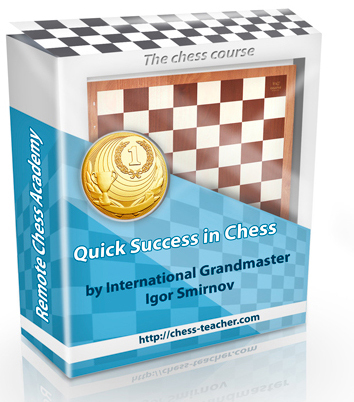 Contrary to what a few software companies would have you believe, no single piece of chess software is by itself guaranteed to improve your chess results. I realize that more than a few players are looking for a "magic bullet": one book or piece of software that will, all by itself, make the player some kind of "instant master". Sorry, but that's a forlorn hope; it's just not going to happen. What we as players, as learners, need to do is find a way to integrate chess study and chess practice into a method for improvement. In fact, that (and the hard work it entails) is the key to getting better at chess. No one piece of software will help you in all three areas. 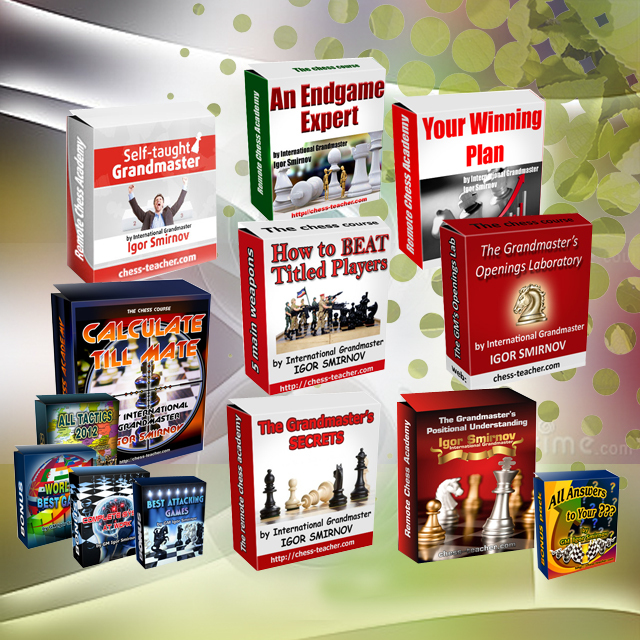 Chess playing programs excel at helping you with practice (you can play games anytime you like) and analysis (you can likewise have engines analyze your games at your leisure). 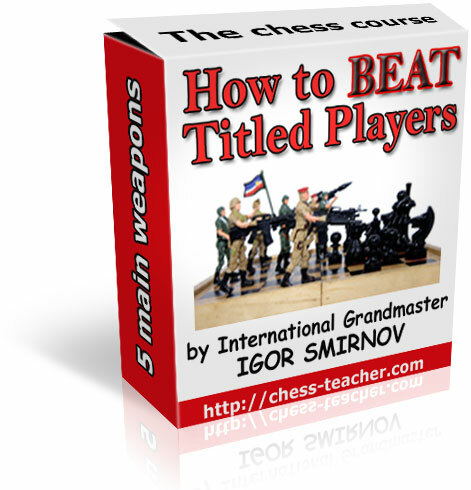 Although some chess playing programs contain tutorials on various aspects of chess, these are usually geared toward absolute beginners or inexperienced players. 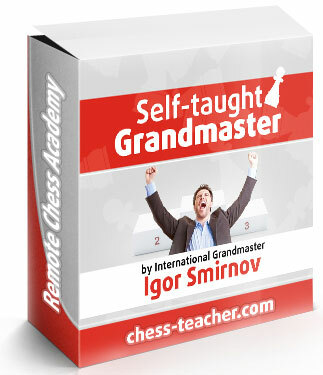 For higher-level instruction suitable for intermediate players, you'll need to turn to books and specialized chess training software. This brings us to another important point. 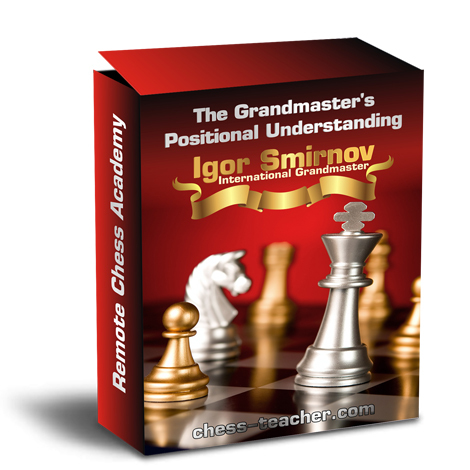 Chess books and chess software aren't mutually exclusive to each other; it's easy enough to combine chess books and software, using the best of both media to develop an effective training regimen. We'll return to this idea in a little while. First, though, we need to examine the "learning cycle" to understand the three processes. Practice refers to any chess game that you play. In the context of the learning cycle "practice" doesn't mean just games that "don't count" (such as games against a computer or offhand games you play at a chess club or against a friend). "Practice" refers to the practical application of your existing chess knowledge; i.e. applying what you know under actual game conditions. Anytime you play a game of chess (as opposed to solving tactics puzzles or "mate in x" problems, etc.) you're practicing what you know. That's what we mean by "practice". Analysis means looking at your games after you play them, reviewing them to discover flaws in your play. While it's always great to look at the three move combination that won your opponent's Rook and enabled you to win the last game you played (and we all like to admire the things we did correctly), it's more important to look at the rest of the game to see if there's anything we could have done better. It's ironic that chess has a reputation as being a game for egotists, because there are few other pursuits which require one to be as harshly self-critical as chess demands. Study is exactly what the word implies: the process of learning new techniques in order to correct one's deficiencies. "Study" might mean reading a book on positional chess, solving tactics problems from a chess CD, and/or reviewing games of great chess players; it's any action we take to increase our knowledge of the "nuts and bolts" of the proper way to play chess. In theory the learning cycle works like this: you play a few games, analyze them (either yourself or with the help of a stronger player or computer chess engine), identify the area(s) in which your game needs improvement, and then gear your study toward improving the deficiencies you've uncovered. In practice, though, the three processes of the learning cycle will often tend to overlap. For example, there may be a particular day in which I play a few chess games with friends, have a chess engine analyze a previous game of mine, read three or four pages from a chess book, play through a classic game or two from a database, and solve a half-dozen problems from a tactics training CD. But the "cycle" still holds true either way. We practice our chess by playing, analyze the games afterward to spot areas in which we need to improve, and then study instructional materials to try to improve in those deficient areas. Although it wasn't covered in these three articles, I've assumed that you already know how to play games against your chess computer (i.e. the "Practice" process in our learning cycle). The first two articles of this series has shown you how to analyze your games using a chess engine (the "Analysis" process). This article will offer some advice on how to bridge the gap between "Analysis" and "Study" - in other words, how to look at your engine-analyzed games to determine where your game needs work. This latter step really isn't difficult - it's just a question of knowing what to look for. You first need to understand that analyzing just one of your own games won't do the trick; in fact, it's not enough to analyze even a half-dozen or a dozen. You really need to analyze a minimum of twenty to twenty-five of your own games to begin the process of spotting your deficiencies. Which games should you have a chess engine analyze? Most of us play multiple games at a sitting (whether against human opposition or against a computer opponent), so it's usually not possible to have a chess program analyze all of them (unless there's enough of a gap between your chess playing sessions to allow a program to analyze them all). 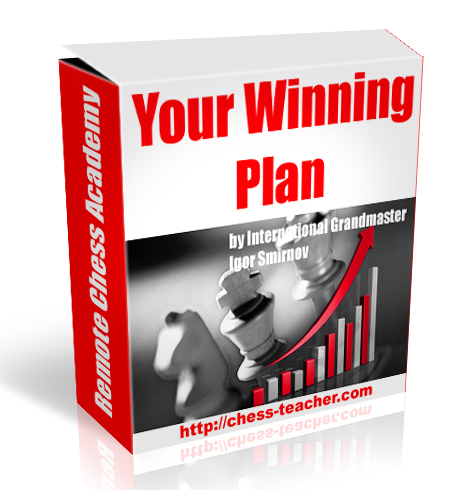 If you play more games than a program can analyze, it's more beneficial to have a chess engine analyze your losses rather than your wins - start with your losses and, if you finish analyzing them and still have time, have the engine analyze your victories starting with the tougher ones (save the twenty move crushes against novices for dead last, if you bother to have a playing engine analyze them at all). When I pick games for a chess engine to analyze, I tend to look for games in which I'm not sure exactly where I went wrong. If I hang a piece through carelessness (or stupidity), that's not a great game for analysis purposes, since I already know where I screwed it up. But if my opponent wins a piece because of a five-move combination that he executed, I need to look at that game to see what I might have done differently to prevent him from getting the opportunity for that five-mover. After you've collected a decent number of analyzed games (in the twenty to twenty-five game range as mentioned above), you'll need to look at the engine's analytical output to determine why you lost those games. And you'll need to look at the "big picture", the general things you're doing wrong. Instead of looking at small, specific things pertaining to an individual game, you're looking to spot major trends that seem to occur repeatedly in your play. There are two major areas to look at here: the how and the where. Are you losing games tactically or positionally? And is this generally happening in the opening, the middlegame, or the endgame? These are the major clues you'll use to determine what you ought to be studying. This is why I personally prefer to use "Bludercheck" mode instead of "Full analysis" mode when I have a chess engine review my games. As described in the previous article, "Blundercheck" provides a more precise measure due to the numerical nature of its output. As we learned in the previous article of this series, the first number of Fritz' output refers to the evaluation of the actual position from the game (in this case the one after Black played 17...exd5). As you review an analyzed game it's quite common to see this value swing back and forth a bit between giving White the advantage or assigning it to Black. It's common to see White with a 0.30 pawn advantage after he moves, then Black having a 0.25 advantage after his move, then White getting a 0.25 advantage again after he moves. The value will tend to swing back and forth across both sides of the 0.00 median mark. But then at some point in the game things will start going badly for you: your opponent will gain the advantage and keep it. It's important for you to look at how he accomplishes this. Is your position being eroded a little at a time? Does he start with a 0.25 pawn advantage which then becomes a 0.40 advantage, then a 0.50 advantage, then 0.70, then 0.90, and then he suddenly wins material which puts you a pawn and a half or two pawns (or more!) behind? If that's the case, you need to concentrate your study on strategy or "positional" chess. You're allowing your opponent to "accumulate small advantages" (as the great Wilhelm Steinitz termed it) which eventually lead to an overwhelming position, one in which he was able to find or create a tactical shot that put you behind in material (and kept you there). On the other hand, you might be cooking along with a decent position when WHAM! - you get hit with a move or combination which costs you material (and the game). Your opponent's numerical evaluation suddenly jumps to a 2.00 or 3.00 or 5.00 advantage, meaning that he's dropped a tactical bomb on you. This means that you need to study tactics to learn how to prevent your opponent from getting in that shot (i.e. to learn to "see it coming" and react before it's too late). Now let's turn this around. Let's say that you're the one who's accumulating small advantages, whittling down your opponent's position 0.10 or 0.30 at a time. But then the evaluation starts going against you, dropping down closer and closer to 0.00 with each move. This means that you're "sitting on your position" too long - you've gained a 1.00 advantage (or better) positionally but you fail to deliver the tactical shot that will sew things up in your favor. This in turn allows your opponent to squirm out of the net your woven. If that's what's happening, you probably need to study tactics problems to recognize your opportunities to deal the crushing blow which will ice the game (in fact, you'll probably see this pointed out in the chess engine's analysis. It evaluates the actual board position as being 0.90 in your favor, but provides a variation which is valued at something like 2.05, meaning that you could have won a pawn had you played the combination which the engine shows in its recommended variation). So you'll need to look at the "ebb and flow" of your games by examining the numerical evaluations to determine how your opponent is defeating you. You'll likely see "trends" here: the same general thing will tend to happen game after game. This in turn will show you whether you should study mainly strategy or tactics (as discussed in the examples above). Both of these examples tend (generally, but not always) to apply to the middlegame. But there are obviously other parts to the game of chess. Let's say that you see the words "last book move" appended to one of your opponent's moves somewhere around move five or six and, after your move, you see the actual position evaluated as being significantly to your opponent's advantage (say 0.50 or better). Obviously this means that you need to study your opening more thoroughly; you went "out of book" too early (and very poorly) which gave your opponent the advantage entirely too early in the game. This is especially crucial if you frequently play a particular opening and see this sort of thing happening all the time (and, as I've often harped in my tutorial writing over the last ten years, this often isn't a matter of memorizing particular variations and move sequences but rather a matter of learning the ideas behind your favorite openings - what each player is trying to accomplish. Knowing the ideas is generally much more useful than the simple rote memorization of variations because you'll then know how to punish your opponent's mistakes when he "goes out of book" in the early going). In fact, this latter point is also applicable to your own mistakes. Let's say that either player goes "out of book" early, the engine says you subsequently start with the advantage but then you lose it over the next couple of moves. This means that you definitely need a better grasp of the ideas behind that opening because you're playing moves that run counter to the opening's underlying "theme". The same thing applies to the endgame. You might be playing a good opening and middlegame, but then gradually (or suddenly!) see the engine's evaluation going against you when there are few pieces left on the board. Obviously this indicates that your endgame technique needs work - you should study endgame manuals and practice endgame positions against your chess computer (and/or solve endgame problems from books and CDs). It all boils down to this: study a lot of your losses and see if any patterns are present. Look for where in the game you're doing badly (opening, middlegame, or endgame) and look for how you're doing badly (the sudden tactical lightning bolt that ruins your day or the slow positional python-like crush that gradually does you in). Play through your old games, follow Fritz' analysis and suggestions, and take careful note of the where and how. This will tell you the area(s) of your game on which you need to concentrate your study. It's that simple - and that hard. I've discovered that it's not very tough for me to look at a group of games and see how I'm screwing up. The hard part is doing the grunt work -- cracking the books, firing up the training disks, and busting my brain to learn the things I don't know. Nobody can do that but me. Fritz can't put a gun to my head and force me to study; I have to do that on my own. I can buy all the books and software in the world, but my game will continue to be deficient unless I read them and use them. If you buy a chess book, read it. If you buy a training CD, study it. You can sleep with them under your pillow, but the process of osmosis is bound to fail. If you need some motivation to study, just head down to your local chess club. Every club has a real jackass - the guy who smirks and makes some belittling remark when he beats you, always loud enough so that the other players can hear. Go play a few games with him. I guarantee that you'll get motivated pretty quickly. It always serves to motivate me. Trust me on this next point - revenge is highly underrated. There's nothing in the world quite like seeing the smirk disappear from an arrogant player's face when he realizes he's busted. That moment alone makes all of the hard work worthwhile. However there's always the old cliché about how the journey is the reward. There's a lot of truth to this, too. The hard work one puts into improving one's game is in itself a major source of pride for many people. Forget the end results for a moment. 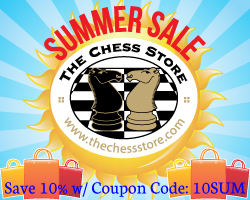 Just adding another bit of chess knowledge to your mental arsenal can be a rewarding experience, even if you seldom have occasion to use it over the board. What we've done over the course of these three articles is learn how to use the most valuable, yet oddly most underrated and underutilized, feature contained in chess playing programs: the game analysis functions. 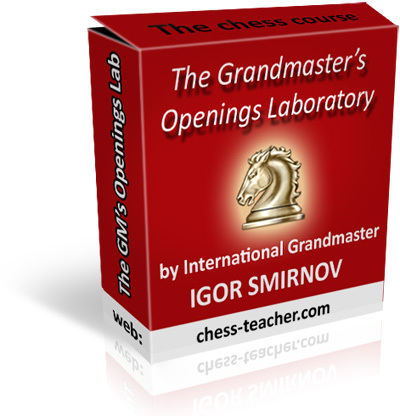 Learning how to use these features and, more importantly, how to interpret the results are arguably the most valuable skills you can acquire as the owner of a chess playing program. It's my hope that these articles have served to point the way for you.